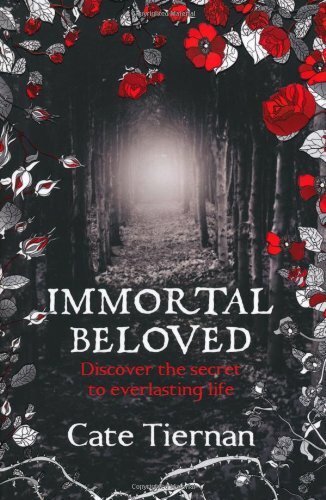 Immortal Beloved is unlike any other YA paranormal book I've ever read. I didn't know what to expect and as a result was surprised with every page. Nastasya is an interesting character. She has lived for a long long time and practically seen and done it all. On an evening out with all her crazy friends all the jokes go too far and something terrible happens. For Nastasya it is the last straw and a wake up call that makes her realise she needs to get away from her crowd of friends and go somewhere else and be somewhere else. She finds herself at a retreat owned by River, someone she met a long time ago to learn more about herself and live a completely different life. To start with the sheer contrast in the change in her life is stark. Nastasya is expected to muck in with running the farm like retreat, get a low paid job and generally live a humble existence. To start with she finds it extremely difficult but eventually she starts to see how living such a life could make her a better person. My favourite parts of the book are the bits where you get flashbacks into Nastasya's past and all the things she has done in her long life. The story twists once Nastasya starts to remember and understand the significance of where she has come from and recognises someone from the retreat with whom she has crossed paths with before. From there on out the tone of the story changes and becomes much more dark. The book from there on out makes you question everyone and keeps you guessing right up to the last chapter. The only thing I didn't like about the book was that ending ... it was a total cliff hanger. I'm just glad I already have book 2 waiting for me on the shelf.